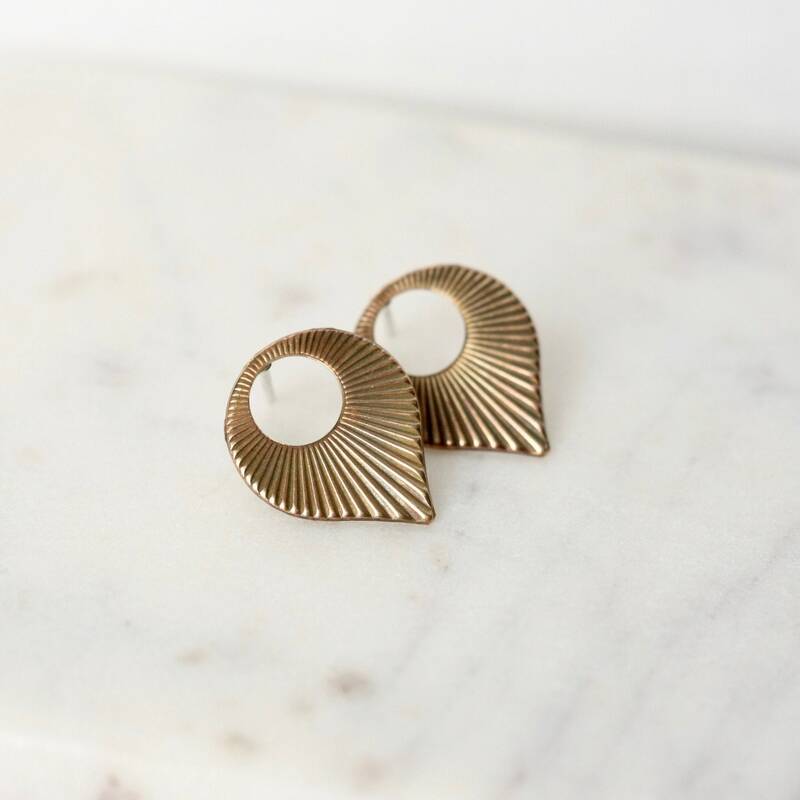 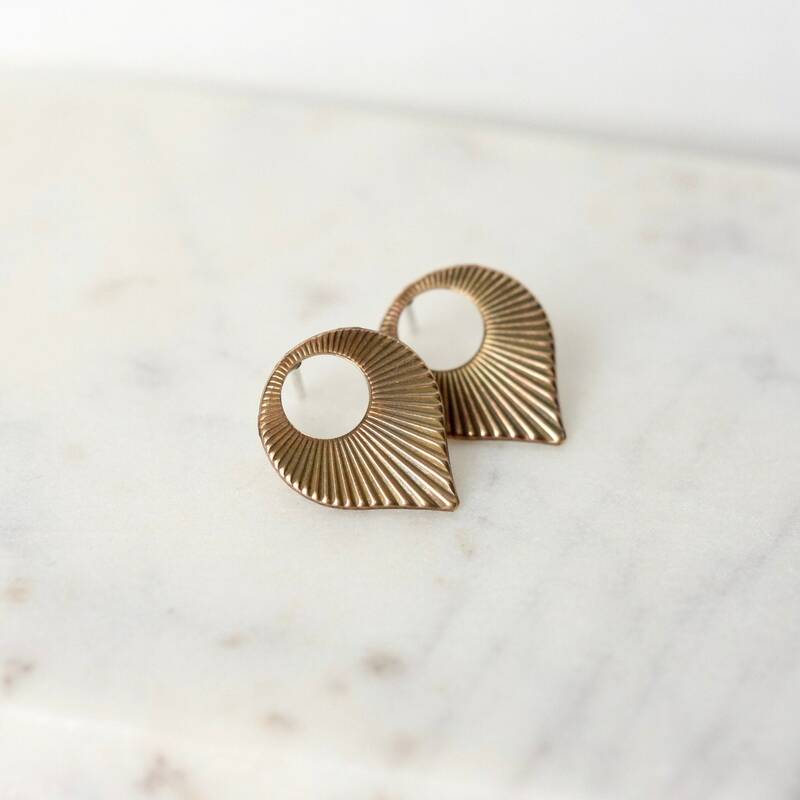 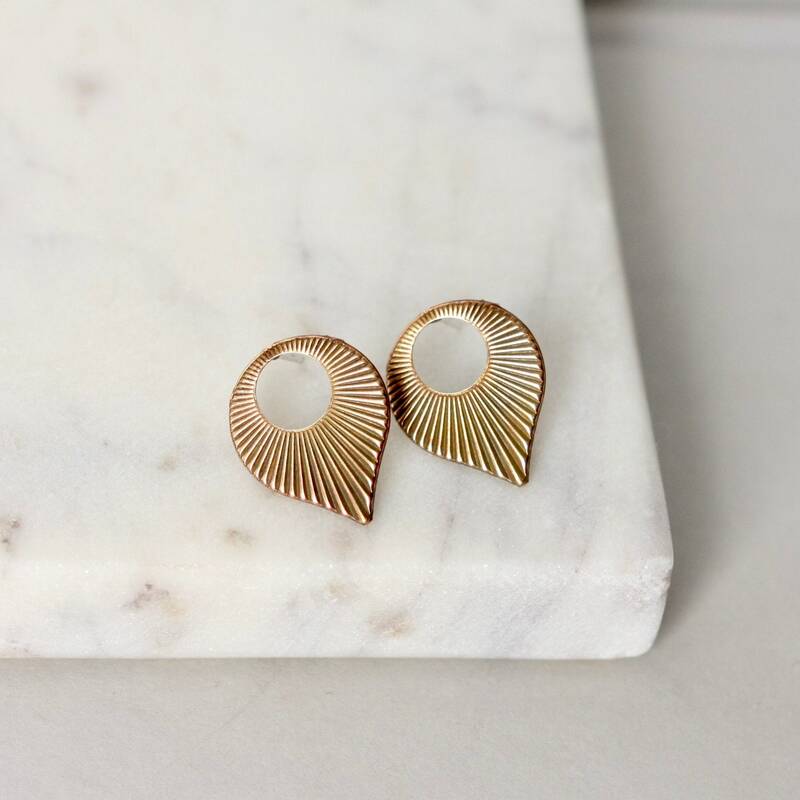 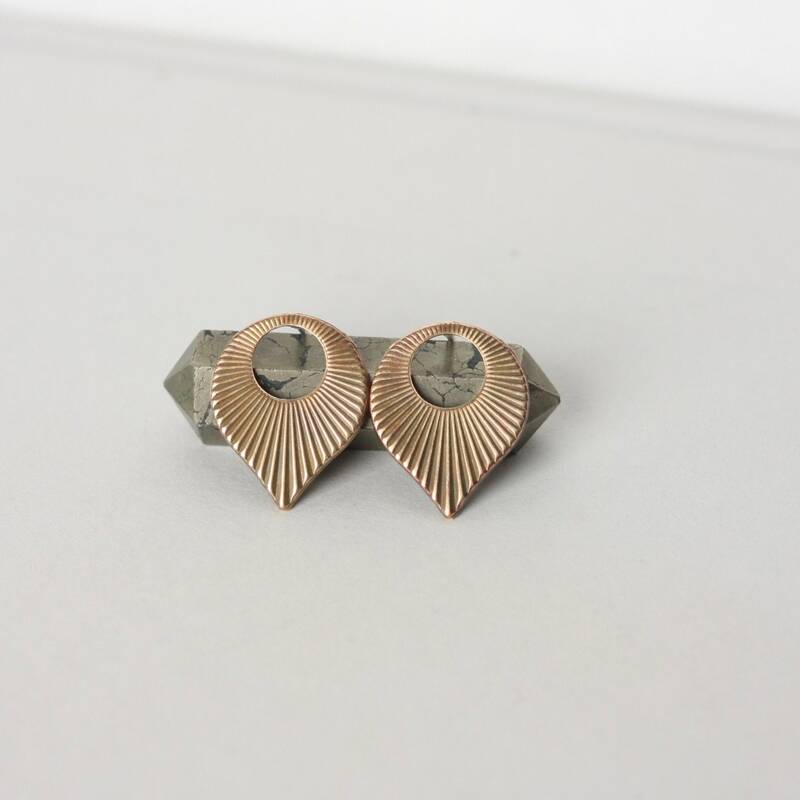 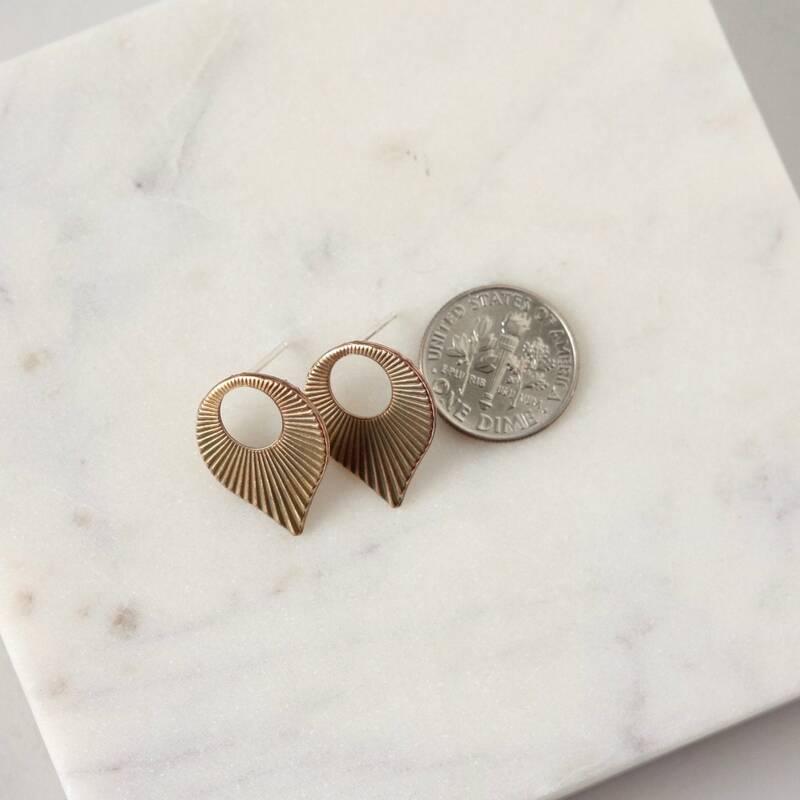 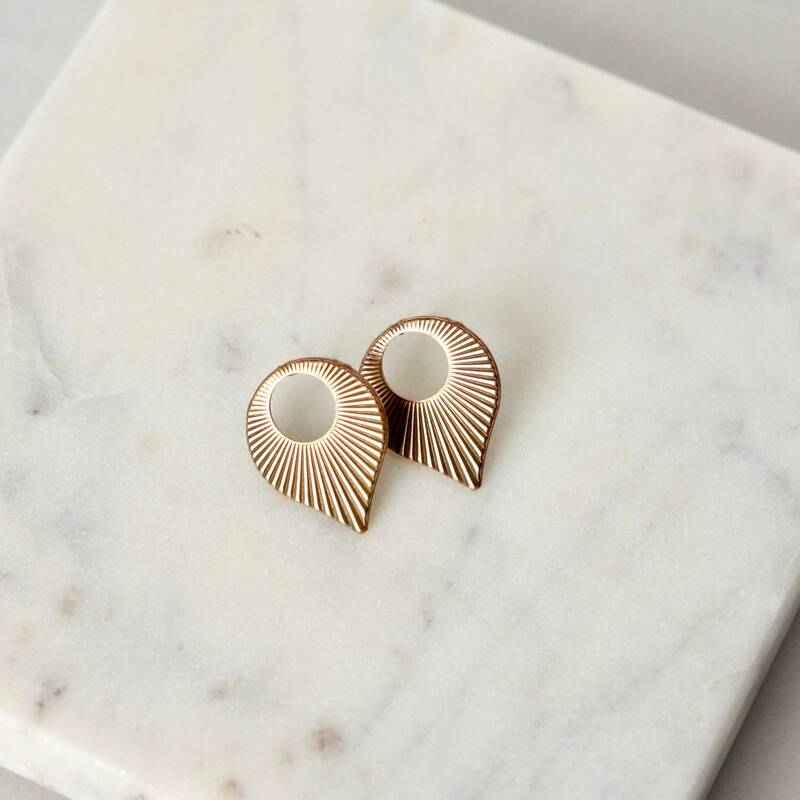 These fun brass studs have a cool textured look and shape - they combine a starburst shape with an art deco vibe. 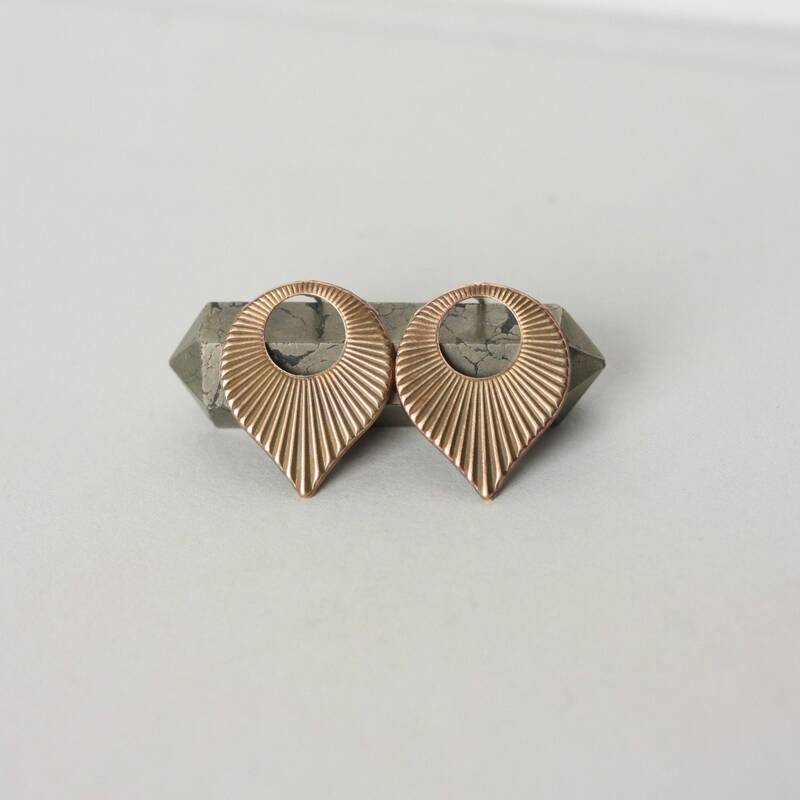 I've soldered sterling silver posts on to the oxidized brass charms for very lightweight and comfortable post earrings. 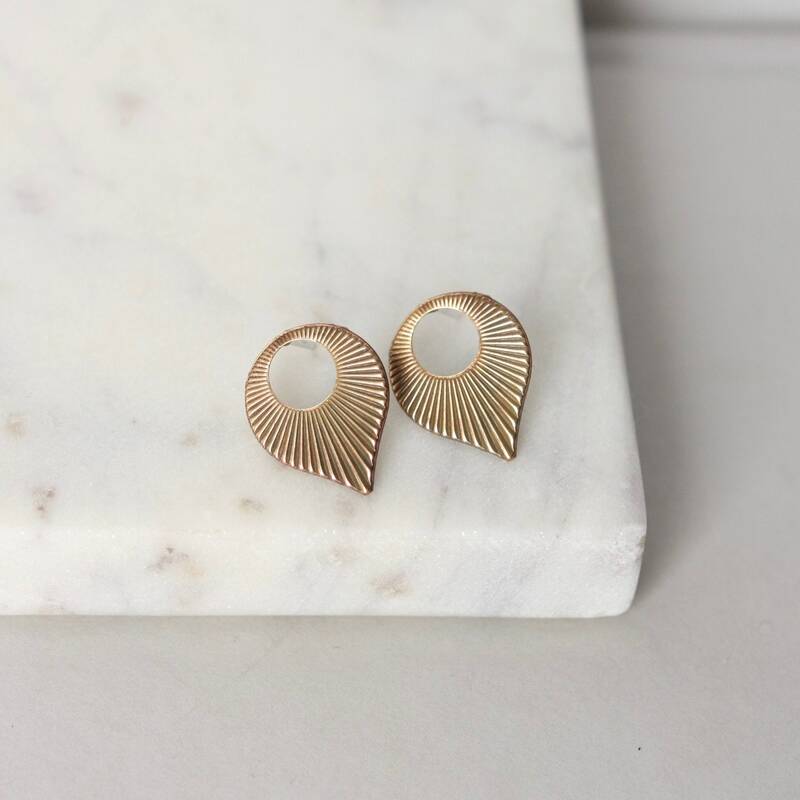 The earrings are 16mm at their widest and 20mm long - a big enough size to get noticed. 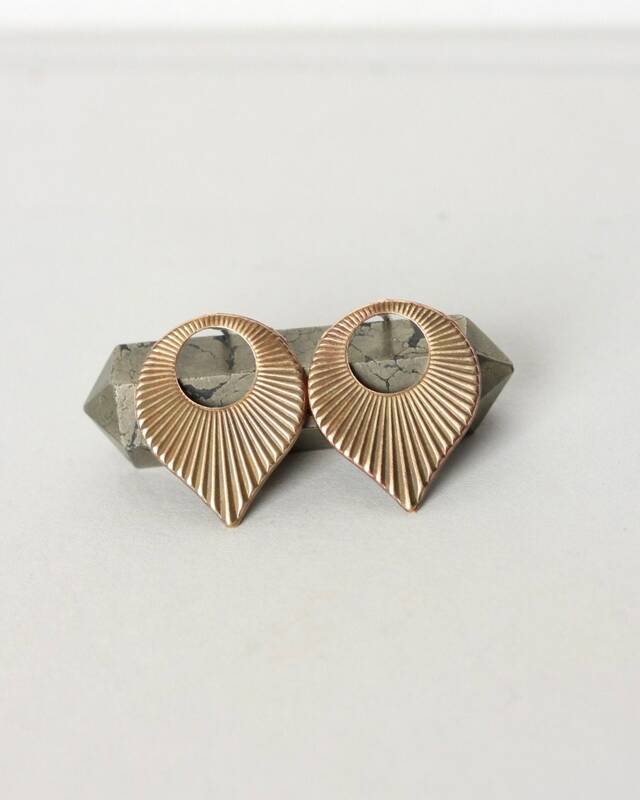 The posts are secured with sterling silver backings.